“The people who built this (CFD) have been phenomenal to work with.” – Leah Powell, our tenant and the founder of SparkleSkirts speaking on the expansion. Read Article. Plant City highlights our County Line Road Commerce Center. View Article. 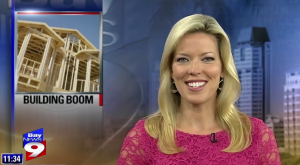 The latest news and information from Central Florida Development: Read More. 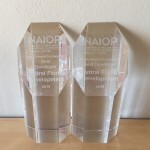 2015-2016 Awarded NAIOP Developer of the Year! Read More. Our development along County Line Road is gaining positive attention! Read More. Mary Clare Codd of Colliers International, the broker for our DS Services deal, was awarded Office Lease Excellence of the Year last week at the CREW Tampa Bay awards! DS Services is housed in a 72,000-SF facility and expects to create 400 jobs. Congrats, Mary! Read More. Start Working With CFD Today!